"Yes, we can pull these orcs off." 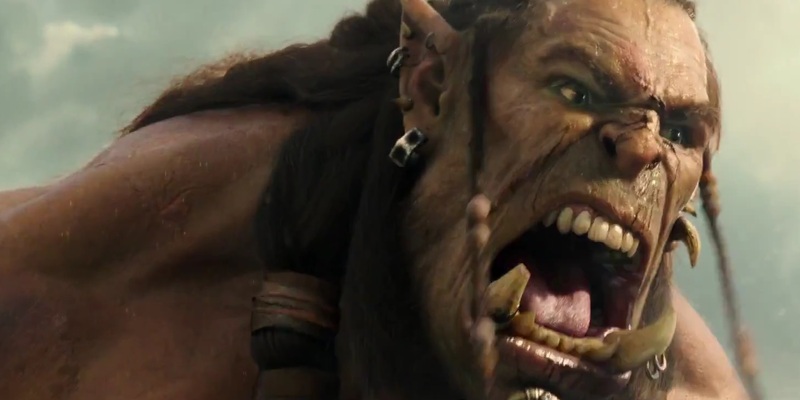 Universal has released a new featurette profiling the work VFX studio ILM did on Duncan Jones' Warcraft movie, which is mostly CGI considering the Orcs are humans performing on set with motion capture rigs. ILM says their facial capture technology for this movie is groundbreaking, and pushes the boundaries of filmmaking beyond what we've seen with Avatar and the recent Planet of the Apes movies. A couple of movie websites recently visited ILM to see first hand what they're doing, but for everyone else, there's now a video featurette out that shows and discusses some of this technology. It's very impressive to see how much they're really challenging themselves with this movie, and I'm excited to see it. As I've been saying all along - seeing the final fully rendered version of this movie is going to look incredible. 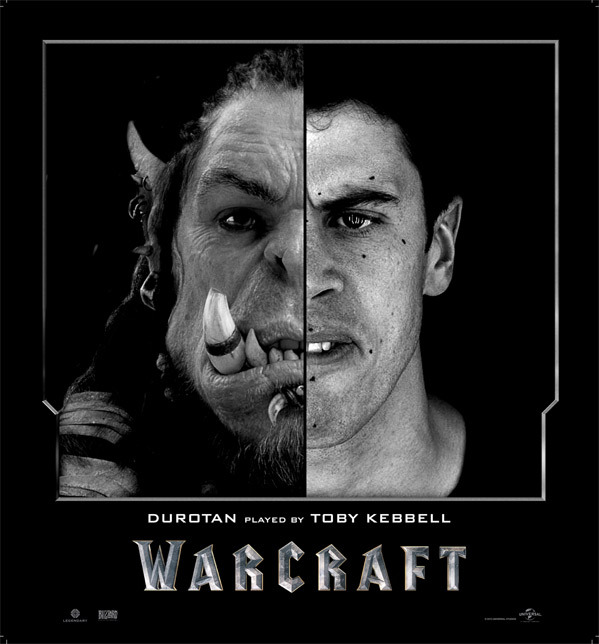 You can still see the third full trailer for Duncan Jones' Warcraft here, plus the latest TV spot here. Why didn't they go full prosthetics ? Why! 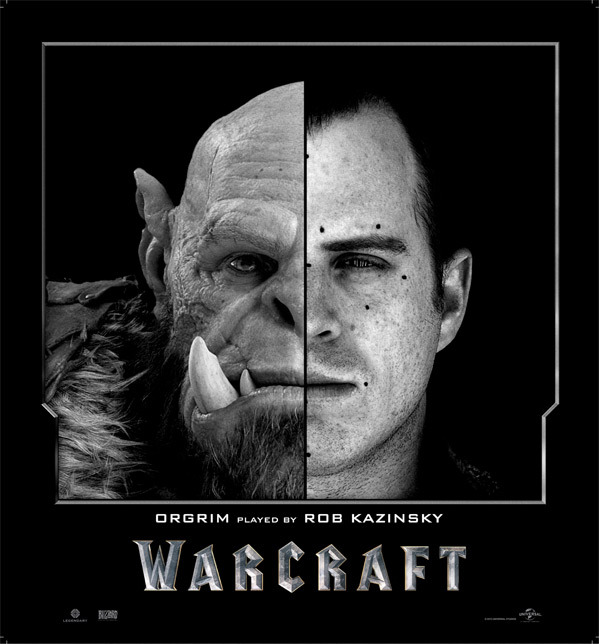 And don't bring this "Orcs are too big to use prosthetics' arguments. They can make them bigger with the magic of vfx. because they would horrible with prosthetics and the performance of the actor would have been lost under that mountain of plastic. CGI mocap was the best way to realize them. A smart mix of prosthetics and mo-cap would have been the ideal choice...to me of course. I'm still not convinced by this cartoonish look. Well... I was impressed by the first pictures of Avatar. and I am still impressed by the graphics. I can't say the same for this WoW. I'm not hating just for the sake of hating. I really want it to be good. But just compare those two pictures and tell me you don't see any difference quality wise. 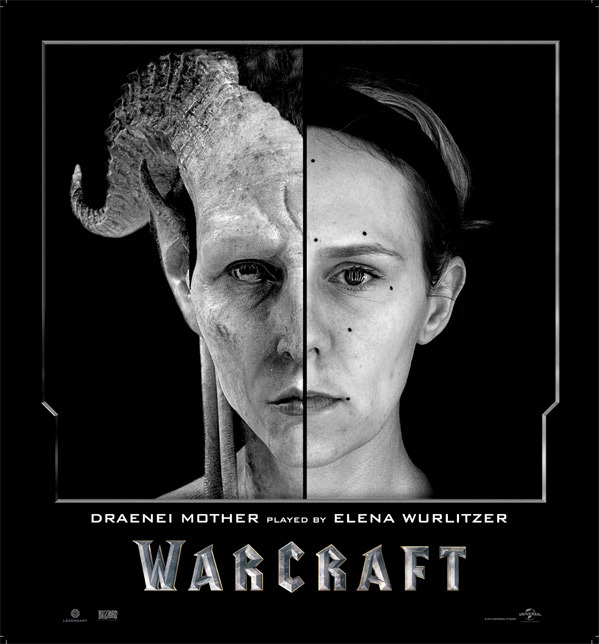 avatar 2009: www(dot)audiovideohd(dot)fr/i/imgs/9742-5(dot)jpg WoW 2016: heyuguys(dot)com/images/2016/03/Warcraft(dot)jpg Oh, And I really hate this " Yellow" tint. I don't see much difference. Why is the second picture of lower quality that the first? They both look realistic to me. Look at that texture. You still haven't shown me what that difference is. The only difference that I can see is that the one has some non-human facial features (2 giant tusks jutting out) but otherwise the cgi looks great. Very detailed. Well, perception is a very subjective matter. So I can't argue with you on that. The second one looks definitely better. But of course it is pretty hard to compare. First because of different image quality. Second because one show much more human like face. Human like faces created by cgi are harder to fool people than any other creatures. Whixh picture has better resolution? That image from WoW may not be the final polished movie version (hopefully) and that image from Avatar most likely is... but even still, there's a tremendous difference in detail, Avatar being the better one. This would look very rigid and overall bad and would ruined this movie ! The characters are quite bizarre looking, but I'm still up for checking it. This Universal guys know how to sell a movies - NOT! It's like D. Copperfield entering the stage: "Before I show you my greatest trick let me first tell you how I cheat ... and now have a nice evening!" I know everyone here is ragging on the CGI being too cartoony, but man, the eyes! THE EYES ARE SO EXPRESSIVE! That's what conveys emotions! I wish the rest of the CGI matched the eyes and hair, but it doesn't really seem too. 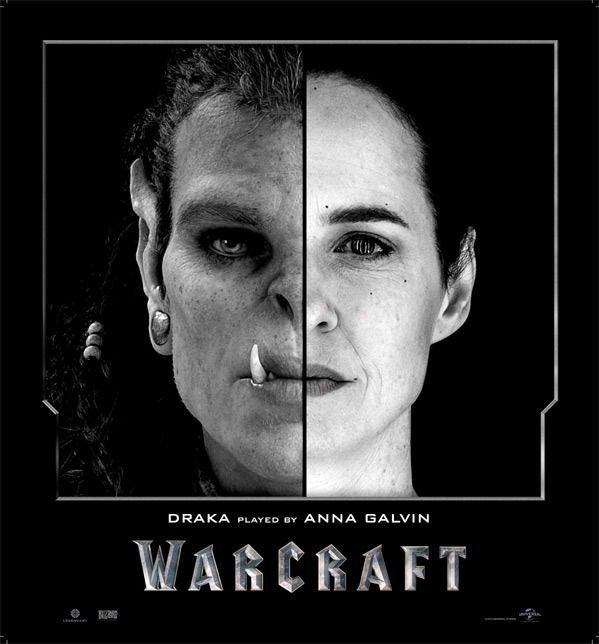 I'm really hoping this movie pans out (And I'm not really even a Warcraft fan). I'm gonna give it a go in 3D in the theater. I'll let you know if it's worth it. You know why the eyes are so expressive ? Because they switched the eyes. They put CGI eyes on actors faces and vice versa. Nice trick. 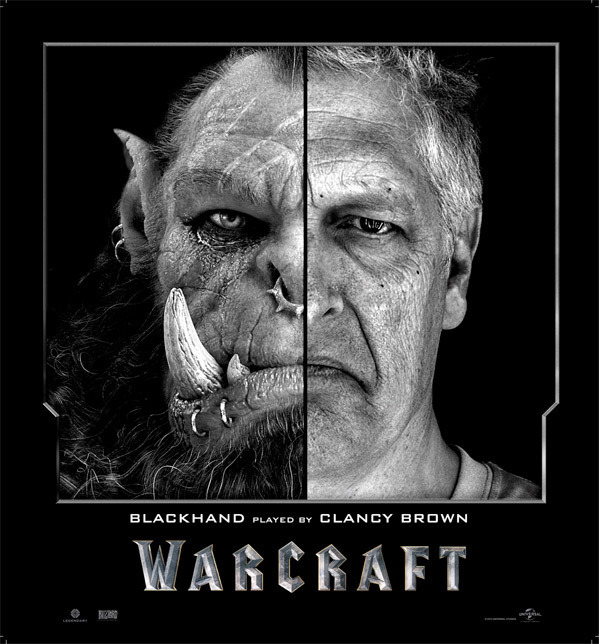 The orcs look like clay with real eyes.